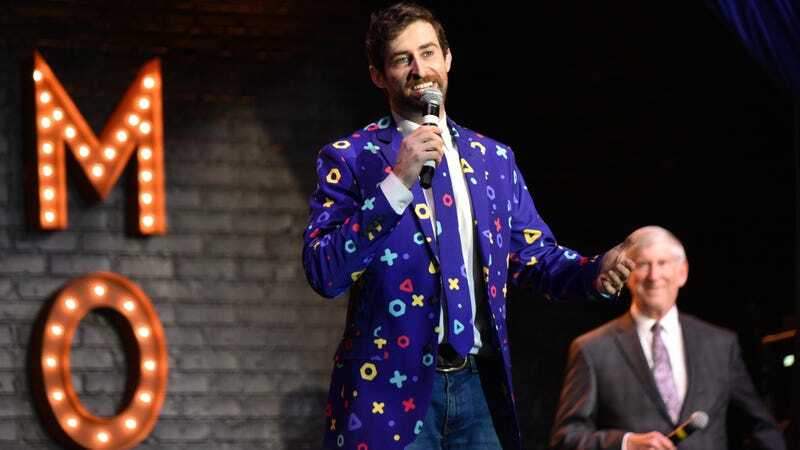 TMZ initially reported that negotiations between Rogowsky and HQ broke down after the host wanted to take on a second job as a host for a new nightly baseball show called “ChangeUp” on streaming service DAZN. Supposedly, Rogowsky wanted to stay on as a weekend host only, but HQ CEO Rus Yusupov wasn’t keen. Rogowsky’s last appearance on the app was March 24. Despite Rogowsky acting as the de facto face of HQ Trivia, TechCrunch cites Yusupov as stating its new host Matt Richards rated higher among top players. Ouch. Bad blood? You bet. Even so, it’s unclear what effect, if any, Rogowsky’s departure will have on HQ Trivia’s declining popularity. While HQ was looking at a $100 million valuation last February, that basically peaked by March. Where its viral popularity once grabbed headlines, it’s growth has since tapered off into steady decline. That’s to say nothing of the company’s other woes. In December, HQ Trivia co-founder Colin Kroll was found dead in his apartment. And a test trial of a points-based winnings system had players wondering if HQ was having trouble with cash flow. Whether or not this marks the end of HQ Trivia, at least the apps brief status as a phenomenon has ensured that we’ll always know what Rogowsky’s condom preference is.